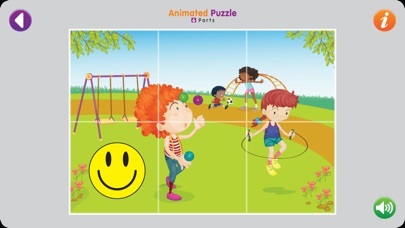 Animated Puzzle 1 (4 parts) - Is designed for children aged 3+. 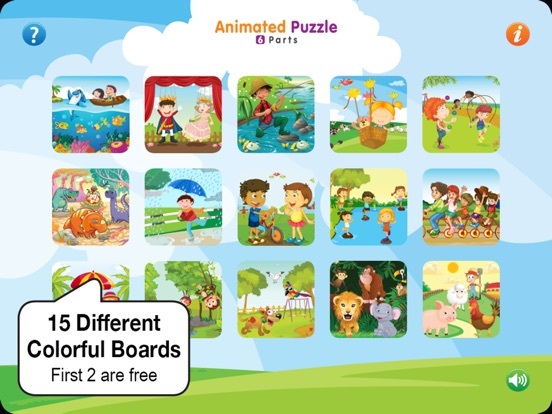 Each board features a 2 by 2 square grid. 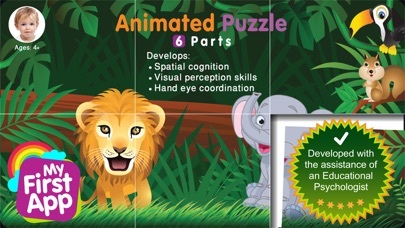 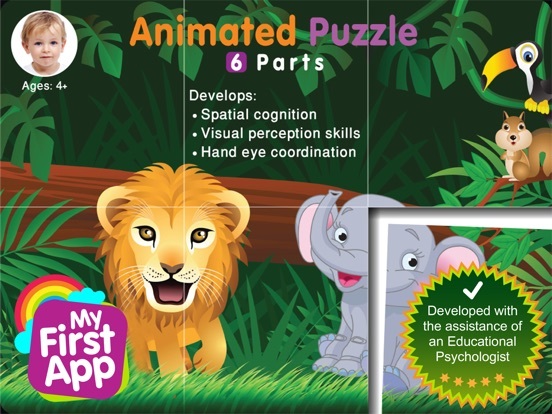 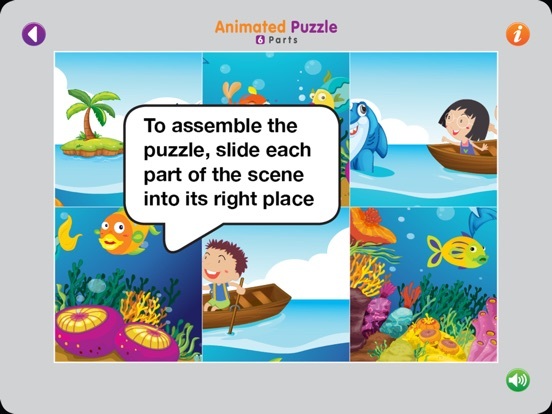 Animated Puzzle 2 (6 parts) - Is designed for children aged 4+. 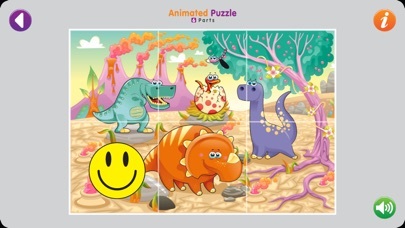 Each board features a 2 by 3 square grid. 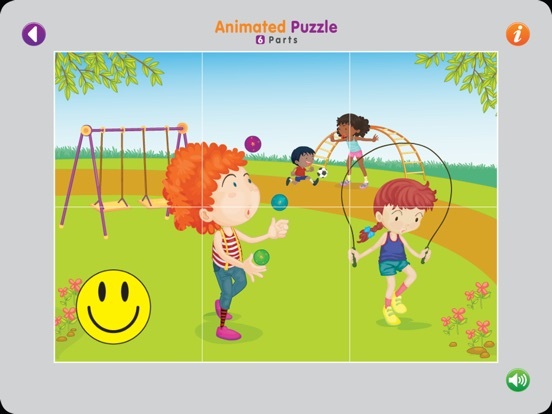 Animated Puzzle 3 (9 parts) - Is designed for children aged 4,5+. 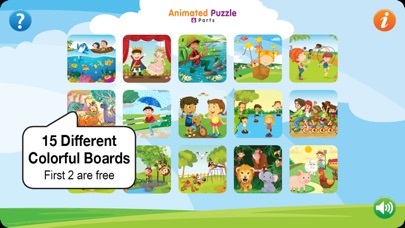 Each board features a 3 by 3 square grid. 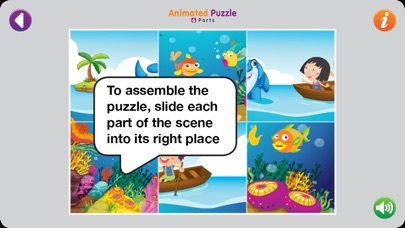 If you enjoy playing with Animated puzzle 2, please leave us a review!